Frank P. Greinke was born in Los Angeles and moved to Orange County during his childhood. He joined Southern Counties Oil Company in 1972 and served in a variety of positions until becoming President in 1989, Chief Executive Officer in 1991 and Chairman of the Board in 2015. In 2007, Frank was appointed the Republic of Georgia’s Honorary Consul for the west coast in the United States and continues this role today. He is the former president of the Society of Independent Gasoline Marketers of America, a past director of the California Independent Oil Marketers Association, Chairman of the Southern California Chapter of Young Presidents Organization and a founding director of The New Majority Committee; an Orange County based mainstream Republican organization and former Finance Chairman of the Orange County Republican Party. 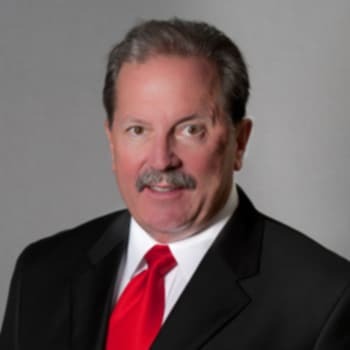 Frank’s board experience includes being a founding member of the board of directors for Pacific Ethanol Inc,; a board member of the Bank of Hemet; and Chairman of the Board of United Fuel & Energy. Currently, Frank serves on the board of Petrocas Energy Group Ltd., the American-Georgian Business Council, and the Advisory Board for the Levan Mikeladze Foundation, the Dean’s Advisory Board for Cal State Fullerton’s College of Business and Economics and an Advisory Board member for Solis Capital Partners.